Stability. Reserve National stands for integrity, fairness and financial stability. Our company has the approval and confidence of policyholders throughout the country, including individuals and families, along with self-employed and small business owners. We are a member of the Better Business Bureau of Oklahoma, the Oklahoma State Chamber of Commerce and the U.S. Chamber of Commerce. Our commitment to financial excellence is apparent. For many years the company has held a prestigious “A- Excellent” rating for financial stability by the A.M. Best Company, one of the leading insurance rating companies in the country. Our People. Our team is a family, from the support staff in the Oklahoma City home office to the agents across the nation. We work together to assure you get the products and services you deserve, with unsurpassed attention to customer service. Our focus is on you, the policyholder. Our Solutions. Reserve National strives to meet the insurance needs of our policyholders. We have our finger on the pulse of the ever-changing health care industry. We continue to develop new and innovative solutions for our clients’ needs. We have the right products, right approach and right value. At Reserve National, we believe the right insurance plan for you is one that meets your needs and comes from a company you can trust. That’s why we offer straightforward insurance products and packages designed for a range of customer needs, with a commitment to financial excellence that gives you the confidence we’ll be there when you need us most. 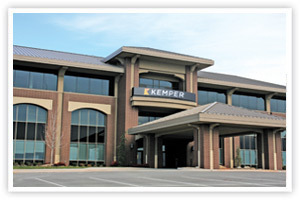 Reserve National is a Kemper Life & Health company offering life, health and accident insurance products. Reserve National has been a subsidiary of the Kemper Corporation1 family of companies since 1998. Reserve National meets the ever-changing needs of consumers by offering a variety of hospital, surgical, accident, supplemental, specified disease and life insurance plans. Focusing on consumer choice, Reserve National generally allows several benefit levels to meet clients’ needs. 1Neither Kemper nor any of its other subsidiaries is responsible for the products of Reserve National. A.M. Best Company is devoted to issuing in-depth reports and financial-strength ratings about insurance organizations. Reserve National Insurance is pleased to announce that A.M. Best Company affirmed Reserve National's excellent ability to meet ongoing obligations to policyholders.